The Pocono Mountains is certainly known for it's Beauty and Pure Nature Scenery. Everywhere you look there is a Beautiful Lake, Stream, or an Endless view of Breathtaking Mountain sides. A beautiful part of what makes the Poconos are the wonderful Ammenity Filled Communities that surround the bodies of Water and Mountain sides all over the Region. Pocono Lake PA in the Poconos holds much of these features. It is home to the Elite, Private, Gated, and Ammenity Filled Community known as Arrowhead Lakes. Arrowhead Lakes is nestled in the woods with 2 entrances with gates on each. 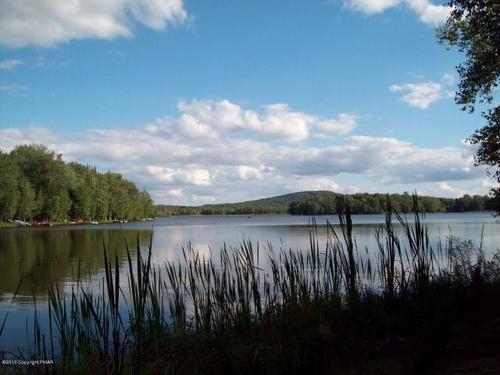 Arrowhead Lakes Community is a prestine community that holds everything you are looking for in your Pocono Mountain Experience or your Perfect Pocono Mountain Dream Home. The Community Ammenities seem to be an endless amount of fun. You won't even know where to start! There are 2 Large Lakes ( 260 acre, 90 acre), 4 Beaches, 3 Heated Swimming Pools, 7 Tennis Courts, 2 sets of Basketball Courts, Volleyball Court, Horse Shoe Pits. There are picnic facilities at the beaches with tables and grills as well. Just bring your charcoal, food, and swimming trunks, and spend a day at the pool or beach! To all home owners there is also a fitness room, computer stations, and library available at the Community Center! Along with the Lakes and many Ammenities, there is much wildlife always roaming through the woods and roads of Arrowhead Lakes. This Community is filled with animals and wildlife including Whitetail Deer, Wild Turkey, Owls, Foxes, Chipmunks, Woodpeckers, Black Bear, Turtles, Frogs, Ground Hogs, and much more! Arrowhead Lakes has it all for sure. Also, Arrowhead Lakes backs right up to State Gamelands! It offers it's own entrance into Bradys Lake State Gamelands which is a pristine 21,000 acre span of State Gamelands complete with it's own Lake and Recreational Area! Here's the view off one of the Beautiful lakes in Arrowhead. Pretty gorgeous to say the least! If you are looking for a home in the Pocono Mountains, I'm your go to guy! Check out my website at Ricks Mountain Homes. Here you can find everything you're looking for about the Pocono's! I include all styles of living and styles of homes. Check out Pocono Ski Resort Homes, Pocono Log Cabin Homes, and homes that are currently on the market. CLICK HERE for a Free Pocono Mountain MLS Search on my Website !